There’s no doubt about it–the subject of “right sizing” has been getting a lot of press lately–especially in the residential remodeling industry. Author and architect Sarah Susanka has been leading a movement over the last decade toward building “better, not bigger” with her “Not So Big” series of books. That movement is gathering momentum as those who renovate look toward more sustainable, efficient homes that better fit the way they live. 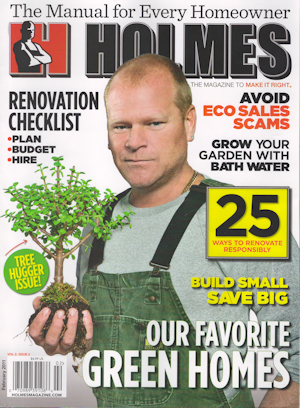 WrightWorks president Chris Wright was recently interviewed for an article on the subject, “The Size is Right”, which appears in the February 2011 issue of Holmes on Homes magazine.